Welcome to the Stampin' Sisterhood Garden Blog hop! I'm so glad you are able to join us today. If you arrived from Charlene Driggs' blog, you're in the right place! I came up with a very clean and simple design today as I was in the mood to water color my garden, and I wanted that to be the focus of my card. After marking the rectangular shape on my water color paper where I wanted my garden scene, I stamped the image four times with Versamark and heat embossed with black embossing powder. I used a mixture of Adirondack and Stampin' Up reinkers and a water color brush to color my entire scene. I framed my scene with deckled rectangle Nestabilities, stamped my sentiment and was done! **You have until Friday, May 25 to hop. **The WINNERS will be announced Saturday, May 26, in the evening! **Leave some love at EVERY stop along the way. **Collect our word search WORDS as you go. 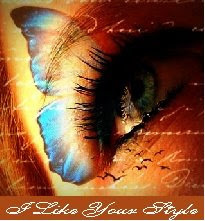 **Leave a comment on the Sisterhood Blog, along with the words you collected, and your email address. **ONE winner will be chosen to receive 25% off!! **There will also be ONE winner chosen as our MEDIA winner for a STAMP SET of their choice, just for sharing our HOP on their Facebook page or Blog or some other media page!! You just have to let us know where you shared it and include your link. 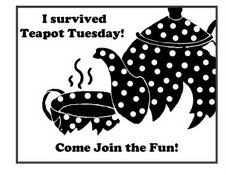 We will also have another terrific hop in June, so stay tuned with information on the Stampin' Sisterhood blog. There's something exciting coming for June's hop! 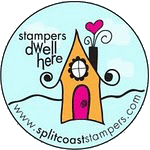 Also, did you know that we have weekly postings and challenges on our Stampin' Sisterhood blog for your inspiration? We sure do! I don't know about you, but I love it when I go to a stamp company's blog and see examples of how the design team members' use the company's images. And that's what we do!! Here's your hop route. Ellen Taylor is next on the route from my blog. Wow! This is gorgeous, Charlene!! Love the vibrant color and your deckled frame! Ahhhhhhhhhhhhh!! Beautiful watercoloring, Charlene! What a great framing sample too! I love one layer watercolor cards--but they scare me as there is no room for mistakes! Obviously not an issue for you! This is beautiful. I love your colors and painted grass. Gorgeous water coloring Charlene! Love the deckle framing and vibrant colors! Fab as always!! Oh, how I love this Charlene! Look at you with all of that white space...spectacularly highlighted the beautifully watercolored image. Nicely done! How cute your little garden is Charlene. I love it. Love your pretty water color garden Charlene - it's so bright and cheery - just like a garden should be! What a sweet little vignette, Charlene. I just love all the happy color! 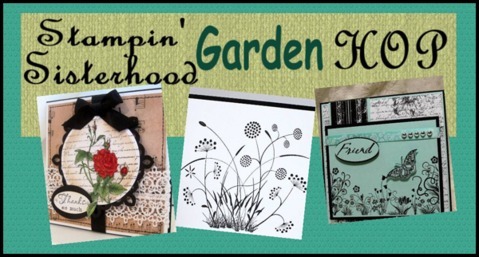 Your garden is gorgeous, Charlene...such beautiful watercoloring and I love how you framed it!!!! I wish my garden looked so good!!!! Charlne, I love the watercolored scene and your precious flower garden. I especially love the frame around it. I adore the fact that you framed it! Amazing. Very pretty. I love your sky and how all your colors look on the white card! a marvellous and very striking card! This is amazing, Charlene! I love the watercolor look of the background and your flowers are so cheery! Super job! Nice job on your watercoloring, TFS!